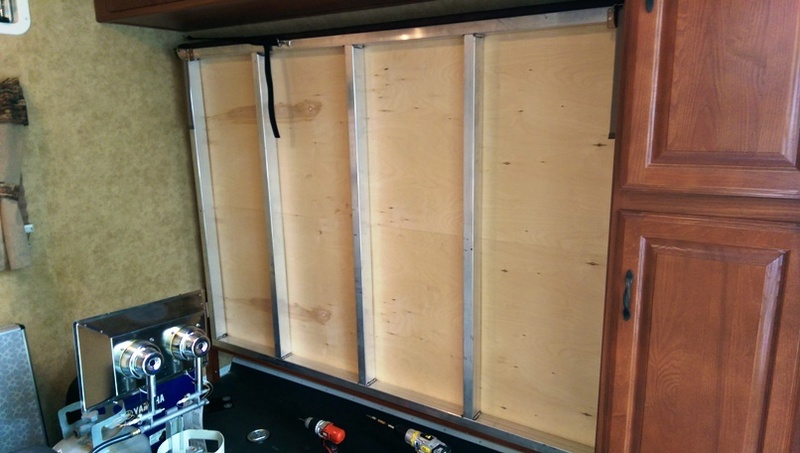 Camper RV LED Strip Lighting Install pg1 - Explore With Don! Every pic is explained below the relevant picture. 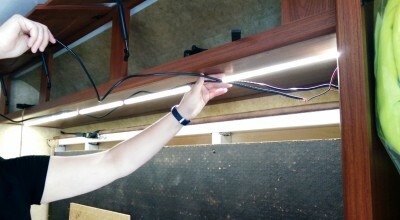 I cut the LED light strip on the correct mark, made sure the adhesive was holding tightly, and tested the light strip. LED bulbs or incandescent bulbs? 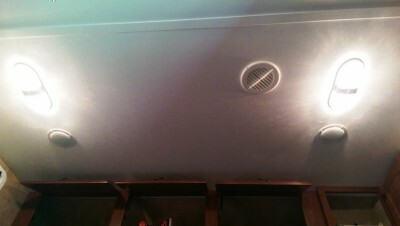 My travel trailer needed better 12 volt DC interior lighting. I needed the lighting to be not just good, but great. As close to daylight as I could get. And I needed the lighting to be easy on the battery supply. Incandescent bulbs were replaced with these LED bulbs. incandescent bulbs with cool low-energy LED bulbs. from 4.86 amps to about 1 amp. My review of these LED bulbs is coming soon. This helped, but not so well in the cargo bay area. The purpose of my Keystone Travel Trailer is strictly business. video, prospecting, and mining ventures. an “operations room” while out on the road and while in the field. Keystone Outback camper/RV queen bed folds up against the wall. So began the mod planning of this section of the travel trailer. The cargo bay functions as a sleeping area. It has a queen size bed that folds up to the wall. The bottom of this bed has an aluminum frame. and use that plywood as a base for a map board. 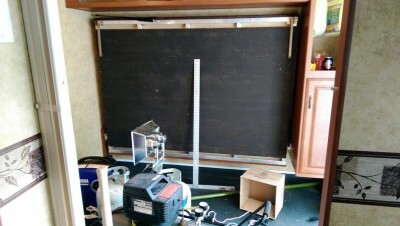 3/8 inch plywood with black water resistant covering. 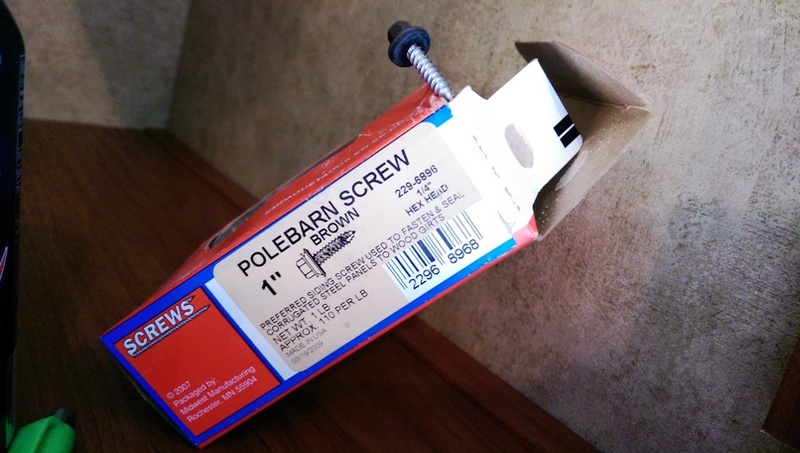 Pole barn screws used to secure plywood to aluminum bed frame. These have a rubber washer at the head for a nicely tight fit to the wood, less screw head damage. 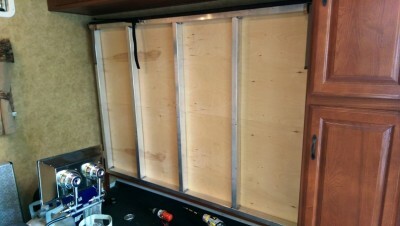 Plywood installed, before deciding to paint it white. That’s a 4 foot square you see. better lighting, especially since the board itself was black. I thought would better help hold the stick pins). So I began researching LED lighting solutions. their various different lighting solutions. I thought that all LEDs were basically created equal. I soon learned that that is not so. Their website is VERY informative! per foot than most other manufacturers. They tell of their LED color temperatures. They tell of the lumens (brightness). The strips can be bent up to 90 degrees. I decided on the “Colorbright™ Natural White”. See my review for this LED strip lighting. And so the project continues. two, both the map board AND the LED strip lighting installation. Click here for page 2 of this article. 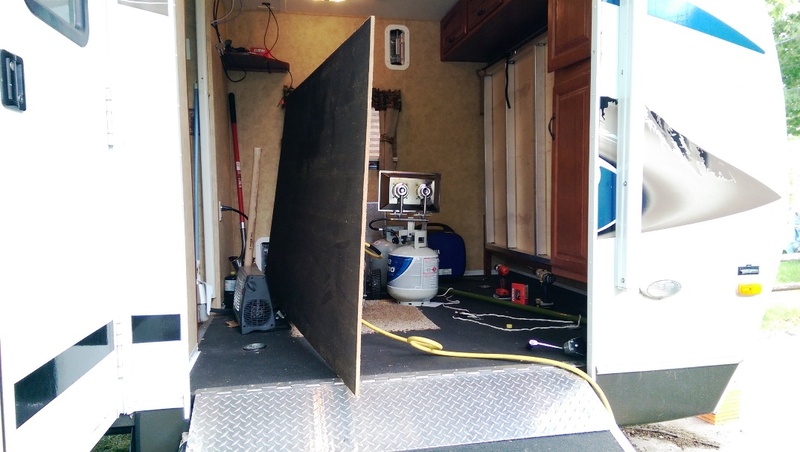 Pingback: Travel Trailer LED Light Strip Installation Completed - Explore With Don!